Celebrated television producer Amy Sherman-Palladino will be honored with the Producers Guild of America’s 2019 Norman Lear Achievement Award in Television. The honor recognizes her more than 20 years of acclaimed work as a producer, creator, writer, and director. Sherman-Palladino will receive the award at the 30th Annual Producers Guild Awards on January 19, 2019, at The Beverly Hilton hotel in Los Angeles. Sherman-Palladino is the producer and mastermind behind the beloved television series “Gilmore Girls,” the Netflix revival “Gilmore Girls: A Year in the Life,” and the award-winning breakout hit “The Marvelous Mrs. Maisel.” She earned her first Producers Guild Award in January this year when the Guild’s membership voted for “The Marvelous Mrs. Maisel” to win the Danny Thomas Award for Outstanding Producer of Episodic Television, Comedy. 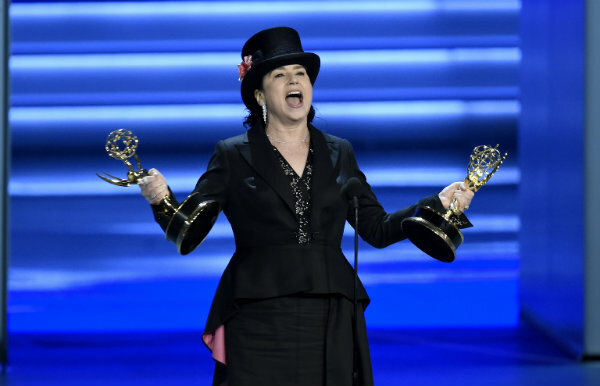 Sherman-Palladino also made history at this year’s Emmys® by taking home the awards for both comedy writing and comedy directing, making her the first woman in the awards’ 70-year history to do so.